(Oregon Coast) – There's much ado about Dad on the Oregon coast this Father's Day weekend. Events abound around the beach towns, and some awesome activities await the whole family, whatever the ages. Note that this is the weekend of the car show in Seaside and the Cannon Beach Sandcastle Contest, so that part of the north Oregon coast will be maxed out for lodging. Your best bets are to head north of Seaside, such as Gearhart or Astoria, or south at Manzanita, Wheeler and Rockaway Beach. See Father's Day Lodging Suggestions here. If Dad is a fisherman or an adventurer of any kind, then a charter boat ride or a whale watching tour may be in order. Various fishing vessels operate out of Garibaldi, Newport and Depoe Bay. 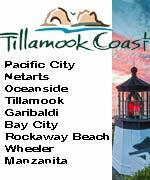 While Depoe Bay and Newport have numerous whale watch tours as well. Hiking will be a fun way to spend some real quality time with Pop. Some of the best trails – aside from the beaches - lurk in the upper Lane County area, around Manzanita, and between Seaside and Cannon Beach. Camping is also a delight and there are a lot more campsites available on the Oregon coast than just the state-run spots that are well known. Numerous county sites and Forest Service sites exist as well. 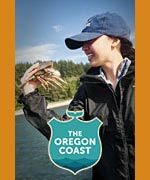 See the Complete Oregon Coast Camping Guide. On Sunday in Newport, the Embarcadero Resort Hotel & Marina features a Father's Day BBQ. Come as you are and celebrate Dad as you let the resort's BBQ specialists do all the work. There will be barbecued chicken, pork ribs, hot dogs, buttered corn, red potato and bacon salad, mashed potatoes and gravy, biscuits, fresh cut watermelon, and deserts. Adults: $21.95, seniors $15.95. Children 6-12: $5.95, and children ages 5 and under eat free. 1000 SE Bay Blvd., Newport, Oregon. Call early for reservations! 541-265-8521. On Sunday, in Lincoln City, there's the Father’s Day Breakfast at the Panther Creek Community Center (follow signs on Wayside Loop). It runs 8 a.m. to noon. As a special treat for dads, chicken fried steak joins the regular breakfast menu. $6 for adults; $3 for children 12 and under. 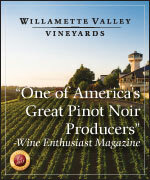 Call the Lincoln City Visitors Bureau for more info: 1-800-452-2151. Also that day, there's the Father’s Day Barbecue at Lakeview Senior Living in Lincoln City. Celebrate dads from 11:30 a.m. – 1:30 p.m.. Seating is limited so register by calling 541-994-7400. Saturday features the Seaside Muscle and Chrome Car Show. This popular event is a celebration of show-quality vehicles from 1960 to 1978 and factory performance vehicles from 1979 to current year. Please note that Broadway will be closed from Holladay to the Turnaround during a portion of this event. Events happen all day. Seaside, Oregon. 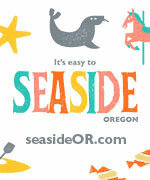 (503) 717-1914. www.seasidedowntown.com.